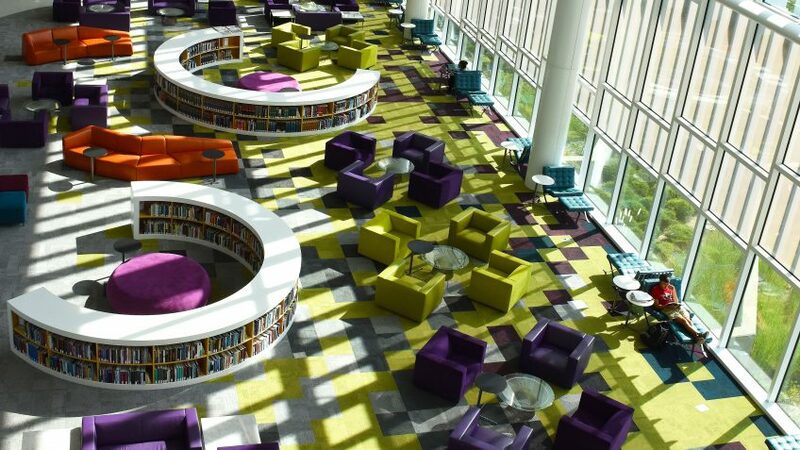 Exams are stressful enough, so why worry about finding a quiet place to study? There is NO seating available for studying in the DELTA Testing Center on Centennial Campus. We recommend studying at one of these alternative locations. By the way, they’re all within walking distance of the DELTA Testing Center that’s located at 1730 Varsity Drive in the Venture IV building. 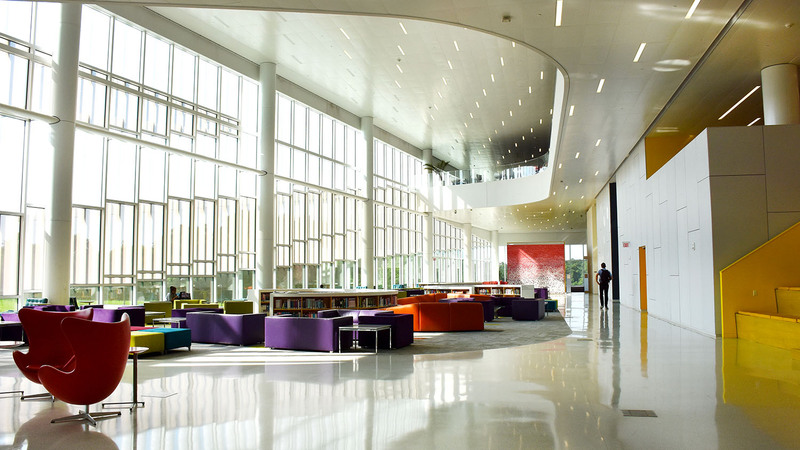 Hunt Library is located on Centennial Campus at 1070 Partners Way and is about a 10-minute walk to the DELTA Testing Center on Varsity Drive. Parking is free and open to the public after 5 p.m., however, hourly parking is available in the Poulton Pay Lot across the street from the first-floor entrance of the library. There’s a variety of different study spaces within Hunt, whether you want to study with your classmates in a small group or have a nice quiet spot all to yourself. 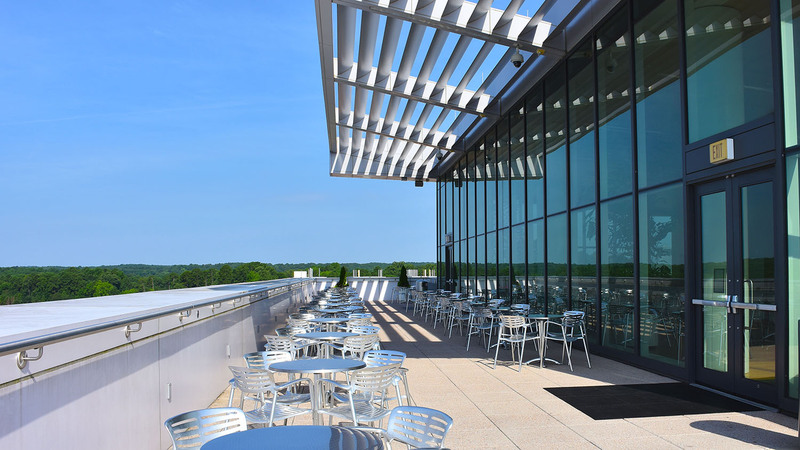 With a variety of spaces to choose from like the Quiet Reading Room (2nd floor), Skyline Reading Room (5th floor), Rain Garden Reading Lounge (2nd floor) and the Skyline Terrace (5th floor) on nice days, you’ll find the perfect place to review your materials before test time. The Skyline Terrance is accessible from the fifth floor of the Hunt Library. The Oval, a grassy area outside of Hunt Library and between Engineering buildings I, II and III, is the perfect place to study on sunny days. 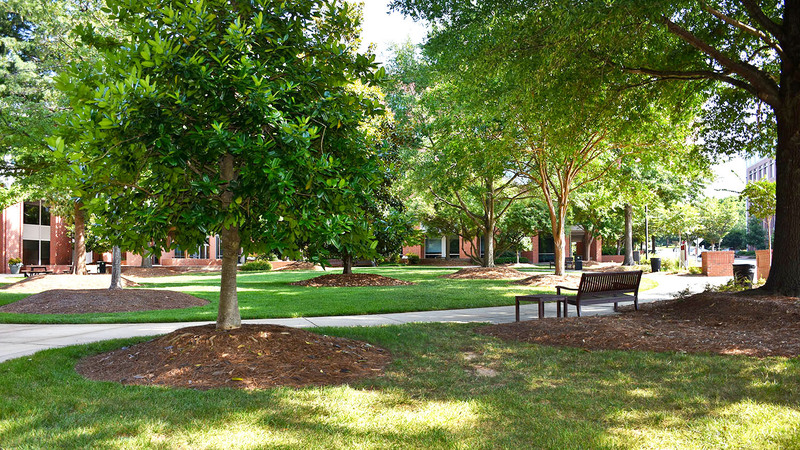 For students interested in breathing in a little fresh air while they study for finals, the Oval is about a 10-minute walk to the DELTA Testing Center on Centennial Campus. Students can also study at On the Oval, the food court located in the lower level of Wolf Ridge Apartments on Centennial Campus. It’s also about a 10-minute walk from the testing center. 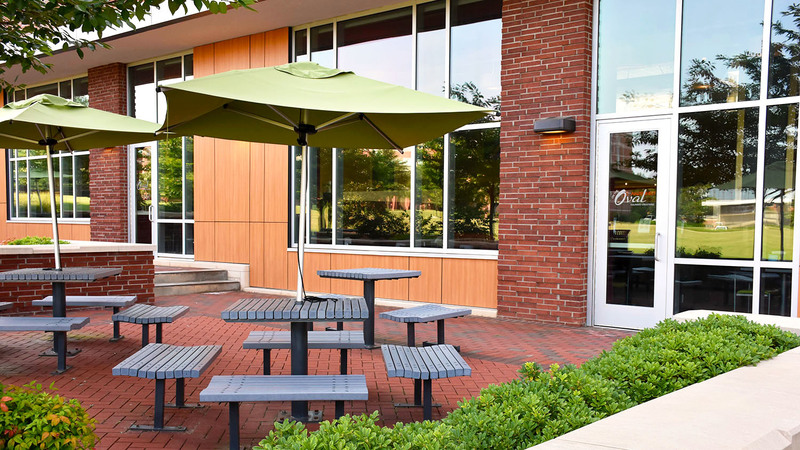 The Venture Center Courtyard is the closest alternative study space for NC State Online and Distance Education students. The outdoor space is about a five-minute walk to the testing center. There are actually two courtyards to choose from, between Venture I and II or between Venture II and III. Need a caffeine fix before tackling that exam? No problem! 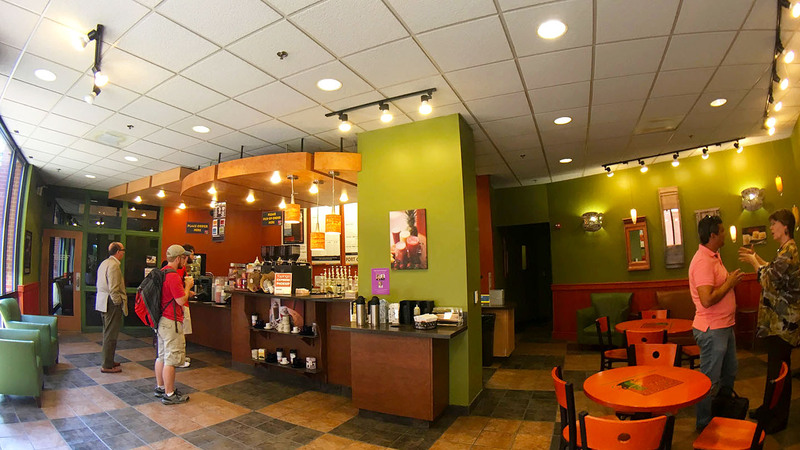 Port City Java is conveniently located in the College of Textiles on Main Campus Drive. There is seating inside and outside and is about a nine-minute walk to the DELTA Testing Center.